SIPTU said it was stepping up its campaign in support of former Vita Cortex workers who are occupying the company's factory in Cork. 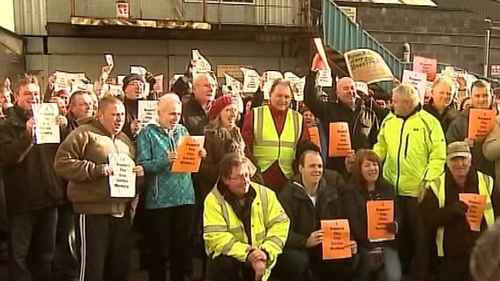 32 people are staging a sit-in at the plant in protest over what they call inadequate redundancy payments. Hundreds of relatives and friends of the 32 workers marched outside the premises this afternoon in a show of solidarity. In a statement today, Vita Cortex said it is not refusing to pay the redundancy, but is unable to do so. It said the company has been working closely with staff and union representatives since the decision to close the plant was announced last September. The company closed, it added, due to the ''protracted difficult economic environment'' and the ''loss of a number'' of their customers. There was no option but to close the Cork site in order to try to secure the survival of the remaining sites in Athlone and Belfast, the statement read. The company said the staff pension fund is fully funded and not affected by the current dispute. The workers will be entitled to a State redundancy payment if the company can prove inability to pay. 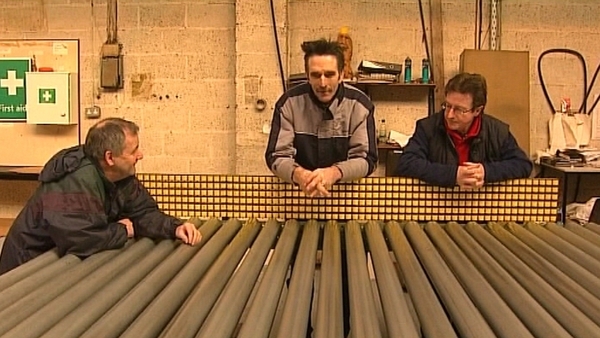 The company, which manufactured foam packaging, closed its plant on the Kinsale Road before Christmas.